Disclaimer: I got in touch with the local NAD branch and they pretty much immediately agreed to send us the HP50 for review. The loaner headphone will return to them after the review. The HP50 of course isn’t a new headphone but for some reason we never got to featuring it on Headfonia. As everyone is constantly raving about this NAD headphone, we had to check it out for ourselves. A review that’s long overdue. The 32Ohm HP50 is a closed full size over ear headphone. The removable leather pads are really soft and seal extremely well, they hardly let any sound in (or out). Readers with bigger ears (you know who you are) should note however that your ears will be touching the pads at all times. The ear cups on the HP50 swivel so the headphone can lie flat and it makes them a little easier to transport. Personally I find them a bit big to carry around all the time and I do consider them more as a “home” kind of headphone. NAD states they don’t care about lifestyle but they care about your ears. I believe them as I don’t like the design of the HP50 at all. And I’m being nice here. The leather headband, while being very comfortable looks weird and the design of the comfy ear cups that house the 40mm drivers, well what can I say, you like it or you don’t. What I do like about the design is that you can either connect the cable on both sides of the headphone, something we’ve seen before with other recently reviewed closed back headphones. The HP50 comes with 2 flat cables, one of which has the iDevice remote. A lot of lightweight materials were used making this headphone, and while I’m obviously not a fan of its looks, I have to admit it is a lightweight headphone with superb comfort. In that regard the design is extremely good. It comes in white, red and black. We received the white version but I think the red one is the nicest looking. Build quality is good but because of the choice of lightweight materials and the plastic cups it doesn’t look as good as the P7 or H6. But of course that’s personal. Of course looks aren’t the most important thing when selecting a headphone and so I was hoping the sound part would blow me away. And blow me away it did when I first put on the (already burned in) HP50. I did not expect this sound signature! Most of the time when everyone likes a headphone (let’s take the Sennheiser Momentum as example) you have big bass, warm sound and thick mids with somewhat rolled off treble. I expected the HP50 to be exactly like that but oh was I wrong. The designer of the headphone, Paul Barton from PSB Speakers, is known for his speaker development but has already developed the M4U headphones as well. He’s very much respected for what he does and I have to say I respect him for what he did with this NAD headphone. Secretly I had hoped to not like the NAD Viso HP50 like everyone else does but I’m afraid I would be lying if I said it sucked. It absolutely rocks! “Why is it so great then?”, you ask. Well here it goes. Uncomfortable headband that’s all I have to say. Oh, and small earpads too. Sure. HD600-800, LCD, HE-400/500, D2000-7000, Mad/Alpha Dogs, K550 as examples. Indeed. Love their ice cream too. It’s harder to get good sound in the smaller headphones. The B&O H6 is very portable and very comfy. The Beyerdynamic DTX501p is a minor step down in sound quality, but cheap at $100 and very comfortable. The new Harman Soho is comfortable, but isn’t secure enough for vigorous activity. The Thinksound ON1 sounds as good as the ATH ESW9/a, but is more comfy and has excellent detachable cables. It confirms what I surmised about the treble. I love these headphones too. I find the headband really comfortable and its my top closed headphone for the moment. Lieven, I’ve got a love/hate relationship with this website. However, I do enjoy your articles and your descriptions. I appreciate that they list the negatives along with the positives. But what makes the site good is they don’t just review every dubious design that comes along – they choose components that their followers will mostly like. Well, Lieven and Nate definitely do that consistently. Huge fan of you too Dale… love your comments on this site and innerfidelity. I enjoyed Lieven’s reflection on how ugly he considers the HP50. I don’t feel the same way but I’m certain that many people would. The world of portable closed headphones seems to focus on form versus function. I get the sense that NAD thought they had the right balance but missed. Fortunately, the functionality of the headphone is terrific. We just need more money. Finally!! I wasn’t expecting this headphone to hit Headfonia any time soon. I wonder what’s next. To be honest, I rather dislike the aesthetics of the headphone but if it’s comfortable and sounds real good even at that price, I guess it’s good enough. Lieven, may I ask for a comparison between the Fidelio L2 and the NAD Viso HP50? They’re both at the same price range and both at the upper leagues of portable/home hybrids headphones. Which would your rank to have higher technicalities and at the end of day, which headphone would you prefer and why? Well written review as always. Also, it’s a shame. This was meant to be a comment posted 7 hours ago but apparently didn’t save. Both are great headphones but the L2 is the better one on technicalities and pure audio quality. If you like these, I’d be very curious of your impressions/comparisson of the other Paul Barton headphone, PSB M4U1…I’d love to audition them both! i love the way your pictures on the website show up even bad looking gear in to great looking ones…keep it up..grt work..
i did not think it was a bad looking headphone after a first glance at the pictures..it was only when i went through the review did i discover that you actually don’t like the design aesthetics …lol.. I really liked the look, red color and all. But those swivel arms remind me of the cheap and awful tubes that the Martin-Logan Mikros 90 uses to connect the headband to the earcups. But maybe the HP50 implementation is high quality. It’s personal, you love it or hate it. Does this mean we’ll see something about the Focal Spirit Por/Classic on here sometime? The Focal Spirit Pro is built like a tank. Unfortunately, it feels like a tank on my head. How does it performs sound wise compared to Philips fidelio L2? You even said it is close to the HD700, but what when the L2 was produced in Belgium and came at the same pricetag of the HD700? For this reason the pricetag is irrevelant because it depends a lot of the production location, and is not a sign for better quality as such. The German brands produce only their most expensive models exclusively at home, so does AKG in Austria with the 812. Below a certain pricetag all other models are enginered and produced in China. Philips can´t produce in belgium at selling price of 279 and 299 Euro for the x1/ x2, but I am sure they are equal in quality if not better. Important is there is bass when demanded, when for example listening to Magma, Primus and other bass loaded prog, which has nothing to do with the kind of bass needed or demanded for current mainstream styles of music. I did order the L2, so i am curious how the bass will sound with before mentioned music but also with reggae from Linton Kwesi Johnson. Well the Dogs of course are planars. personally I would put them Alpha>Mad>HP50. I would forget about the TH600 if you can all the others for a lot less. nice to read a comparison with the H6 again (since it is the only one I own at the moment) For me the subtle bass compared to the details I perceive made me go for the H6 and listening to more and more orchestral music I find it getting better and better. In the future I ll pbly compare more, and now I ll be curious about this one. so great review again. How does the hp50 compares with the denon d600? 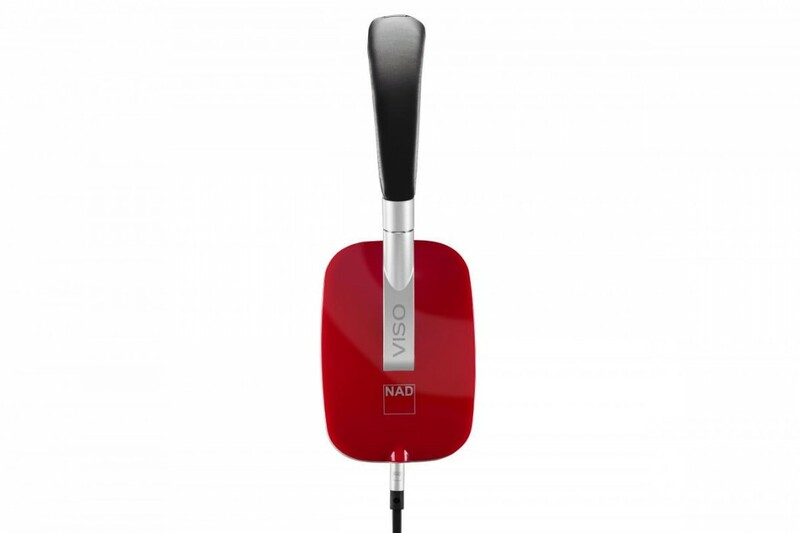 The nad viso hp60 can now be bought in europe for about 190 euros and the denon ah d600 for 130…. Are you looking for specific information to make a headphone purchase, or is this a research project of some kind? What are your requirements for your purchase? I just want to make the right choice dale. Unfortunately for me its not that easy to make returns and in my country all the heahpones i mentioned and that i am curious about are impossible to try unless i buy them. Research project? No. I just want to make sure i dont sink my money in something that will not satisfy me and also this information will be usefull not for me but also for people who have the same doubts as me. Its impossible not to get curious about headphones that used to cost 300 or 400 euros and now cost 150 or 130. On one hand you think, ooooh what a bargain but on the other hand you get suspicious and start wondering if they are that good…. The many comparisons you ask for will likely lead you the wrong way, because comparing a to b, where a is better than b, then comparing b to c where b is better than c, so you see that a is far better than c, yes? But c may be better than a, which happens often, for complex reasons. If you’re buying only one headphone and you want *good* advice, you need to research by reading reviews, then state your requirements in detail, then more research, then start narrowing down to your final choices. I read all of your questions, and the comparisons are all over, not getting focused on your requirements. Lets try too make this simpler then…. P7’s are out of the way…. i bet they sound amazing but they are too expensive…. The nad’s, they seem great but it seems they also have small and not very deep pads so if i had problems with those i will surelly have problems with the nads, also tha nads must be a bit more flat than the momentums and as i said i like the momentums signatur and sound quality…. The amperiors lets forget them…. i am certainly i love how the sound and i want a bit more bass for my hd25’s and the amperiors would probably give me a bit more (and i may even ending up getting them) but for now it would be money wasted on a almost identical pair to the hd25’s…. recaping the requirements, i listen mostly to indie, pop rock and edm, i love the sound of the hd25’s and the momentums and i want the same quality and a similar sound signature to the momentums but with a REAL over ear design and spacious sound since my v6’s and hd25’s are all but spacious sounding…. Although a bit expenve the b&o H6 in blue can be had for 225 euros on amazon uk. and last but not least the denon ah d600 (my main fear about the denon is that they are too colored since as i said the i like the momentum and the mdr 1r was too muffled and colored for me…. also one of my fears is because many say they have a loose fit and i had seal and fit issues with the akg k550) at 135 euros…. Instead of saying “real over ear” just say “fully around ear”, and that way people won’t be telling you to buy a headphone that doesn’t fit. BTW, I just got the new Soundmagic HP-150, and it’s really, really good. Full bass, full treble, clear and clean. Again, great review. I tried and like this headphone very much. HP50 might be a good contender for the AD. Since you have tested them both, which on do you favour? Also considering the price.. Looks go to the AD for sure! Thanks! Looks like I’ll be getting the HP50’s then. Last one on my ‘to consider’ list is the DT770 Pro AE. They are hard to find and I probably won’t have the chance to test them. Would you prefer the HP50 or the 770 Pro AE ? I liked the slightly warm sound of the HP50. After a while listening I noticed it integrated the mids and highs very nicely, but it took me some time to realize this. From what I have read the DT 770 AE is more analytical, more clear overal. This atracks me because I like an overal neutral and balanced sound. (but slightly warm like the HP50 is very nice) Buying the 770 AE blindly is a bit tricky perhaps since they sound very diffently like you say. I looked over a long list I’m familiar with, to see if there’s a more ‘analytical’ sounding headphone with a wide response in the same price range as the DT770 Pro-32, and all I could find is the Soundmagic HP100. It also is very different from the DT770-32, but could be worth investigating for a more neutral sound (with strong low bass but no upper bass emphasis). Hp 50 bass extension is terrific, and I really like the case that comes with it. But the plastic creaky construction and awful looks leave much to be desired in a lifestyle headphone. I also felt the mids were unnaturally airy and spacy. The treble was a little splashy, which I particularly noticed with cymbals. I did a head-to-head shootout with the Sennheiser Moment,um over ear, and I felt that the Sennheiser Momentum sounded better on almost every song. On occasion, the bass sounded overly warm and thick on the Momentum, and on those songs, I sometimes preferred the HP 50. But overwhelmingly, the Momentum sounded richer and more natural. I also feel that among closed sealed headphones, the Brainwavz HM5 has a much much wider soundstage. But I appreciate your review, and I realize that most professional reviewers agree. Thanks for the comments. These are things that might not seem important to some users, but it’s good to know – to listen for when I get a chance at the HP50. Plastic, creaky construction? Thats a deal breaker for me. For 299€ the build quality must be flawless. The Momentum is highly overrated and the HP50 is the better technical one by far. I have heard a number of people say the HP 50 is the better technical headphone. but I have not heard that many people say the Momentum is highly overrated. The Momentum’s weaknesses and strengths are well- documented. I admit that I am a Sennheiser fanboy. To my ears, the HD239 and the HD 600 share the same neutral punchy sound signature. The HD 202, the HD 439, the Momentum over ear, and the HD 650 have the rich thick warm sound, and the HD 598 and the HD 700 have the treble tilted warm sound. Problem is, so many people thought the Momentum “over” ear was around ear. Big mistake! I just appreciate the way it sounds., rich, warm, fairly well balanced, like a baby HD 650. I had the original HD650, which had a normal treble. But the Momentum sound was dulled on the high end, which I suppose was a deliberate move away from high fidelity. The problem with the momentum for me are the lack of good treble and the overpowering loose bass. The 650 doesnt have that to this degree. HD650 is a King! The Momentum is warm with a slight boost to the lower frequencies. But there is adequate control down low most of the time. It is definitely not A V shaped head phone or a u-shaped phone,it is pretty Well balanced. Try it with the Audiophile cable rather than the one with the microphone. there is no life style headphone that would sound as high fidelity and refined as an open back HD 600 or 650 or DT 880. I like those headphones a lot. The H6 was on sale in blue for $199 last month, I almost pulled the trigger. A great choice for portable devices. Wish it was a tad punchier, but still great. And P7 is a lot of fun. But for home use, I definitely prefer the HD 600. I don’t think there’s anything under $500 somebody could give me in exchange for my 600s. I had the 600 and it was my reference at one time, but now I see it as more treble-balanced and I think that makes it suitable mostly for jazz, folk, classical, than for the wider range of genres. I would prefer to use the AKG K712 (with a little bass boost) or the MrSpeakers Mad Dog, which for me have a warmer tone that works fine for the aforementioned genres, but especially for rock, EDM, metal, and others. I see the warmer sound as a long-term trend for audiophile headphone listening, given the typical recordings we mostly listen to today. What do you mean by treble balanced? Do you mean treble tilted? That would characterize my description of HD 598, but I see 600 as more neutral. The HD600 is voiced much like the HD800, with less detail and less soundstage of course. These were touted (and measured by Sennheiser) as very neutral, but down the road they’re seen as more treble-centric than neutral, even if the difference is considered small, like 3 to 5 db. I didn’t know that. I still like the 600 a lot. I like my classic AKG K240 a lot, and if I could find an AKG that has the same signature but a more clear mid range, that would be awesome. The 712 is probably more than what I would want to spend right now, but may be a 701…. The 712 is one headphone that sounds great right out of the box, but compared to the Momentum, it’s tilted the other way, with good treble extension (not bright though), and a fairly lean bass. It’s selling on several sites for around $350 – the original Momentum price, and given the amazing comfort and all, a pretty good deal. Wow, that’s interesting. Right off, sounds like one of the components is failing. Can you open it and wiggle the components and tubes? Make sure all connections are secure first. I don’t see ears as different for hi-fi purposes. If we’re sitting together at a concert, we hear the same thing, and if we play the recording at home and it sounds the same as live, that’s high fidelity and has nothing to do with different ears. I don’t consider myself an expert, but I can compare 50 or so headphones within one db or less at a range of frequencies, to determine how they balance sound from bass to treble. That said though, once you get past the freq. response or however you want to experience it (dark, light, in between), then you find a bunch of other aspects that complicate matters (amps etc. ), so at that point any particular description of the sound is just a generality. Tyll over at InnerFidelity does and awesome writeup on old vs new Senn’s and some the different trends that headphones went through over the years. Check it out. Decent electrostatic headphones such as the Koss ESP9 and Stax SRX MK3 were available back as far as the 1970’s – I had both of those and a few others. My impression of a real breakthrough in dynamic headphones was the Senn HD580, with a rave review by Stereophile, sometime in the mid-1990’s. Before that most dynamics were either too thin and shrill, or too dull. The HD580 gave a real concert-hall sound, albeit slightly distant. Senn pretty much fixed that distant perspective with the HD600. The next great breakthrough I thought was the HD800 in 2009, and as far as I know, it still reigns supreme in resolution of fine harmonic detail. What are your thoughts of grado sr80i and sr325/i in comparison to those two? Well it is grado. Have you ever listened to the grados? Soundwise they are similiar with AKGs K/Q701 and beyerdynamics dt880pro. So more analytic and focused on monitoring. I had the PS500, and while the mids and highs are pretty similar to the K712 I had, the bass is quite different. The PS500 had a pretty significant hump around 70-100 hz, while the K712 was very lean there. The Grado 325 I had circa 1999 I really liked – similar to the Senn HD565, but I don’t know know how it would compare today. Time pass really fast, isn’t it dave. Time does change a lot of this technology, but it’s also good to see that headphones like the Senn HD600 and HD650 are still well-regarded for musical accuracy – it tells me that the long-time players in this business are maintaining their core technologies. I love Grado, and owned the SR225e for about 6 months before trading them in for the AKG Q701 for the increased soundstage. They have very “in your face” mids, snappy, unbloated bass and bright highs (some do not like this, I love it.) The only downfall is the soundstage… very limited, but some people are into that. Also, they are handmade in Brooklyn. I have the 325e – definitely not near the soundstage of the PS1000e, but pretty good when you apply a little EQ in the right places. Just don’t put that new iPhone in a pocket, where it can get bent. From which material is made the adjustment? i mean when you need to adjust to the size of your head, which material is made? metal? looks like it at least, but i dont like when they are plastic, brakes easily. I own the HP50’s and AT M50x , i like the 50’s, but the top end is a bit not there – where would i go and stay under $US500 ?? , i prefer neutral sound with little bass boost and not a harsh to pend. any ideas ?? Oh and nearly forgot the extension arms, headphone holder (with VISO on it) and the main band are very solid metal. B&W P7, for highs especially. Yesterday, I listened to Nad Hp50 at a local store. I liked it more after listening to a similar priced Beyer Dynamic Dt880 and Audio Technica Athm50x. Are there headphones with more alive energy ? The AKG K712 is more alive, but has slightly less bass and is open-back. The B&O H6 may be more alive than the HP50 (close though), but a lighter kind of sound. The B&W P7 is very lively. The Beyerdynamic DT770-32 is pretty lively, but somewhat dark also. The Grado 325 and 500 I like, are lively, but open-back. The Shure 940 is very lively – some say too bright. I will check out the other models that you mentioned. Thank you so much dalethorn. @headfonia_lieven:disqus, how would you rate these cans for rock/metal/fusion music, even some guitar recording? I have a new iBasso DX90 with a new DT770 PRO 32. I listen to classical, jazz and pop. The sound is very good, but the highs are a bit too much for my taste and bass sometimes. Is the NAD a better combo with the DX90 or do I have to look for a Focal Spirit / BeoPlay H6 / B&W P7? @headfonia_lieven:disqus, I have a new iBasso DX90 with a new DT770 PRO 32. I listen to classical, jazz and pop. The sound is very good, but the highs are a bit too much for my taste and bass sometimes. Does this change after the burn in process or is the NAD a better combo with the DX90 or do I have to look for a Focal Spirit / BeoPlay H6 / B&W P7? The Focal Spirit Pro bass is really lean, dunno. The DT770 is more of a pro sound than the H6 or P7, but it does have a small upper treble peak. The other Beyers like the T1 and T90 (and from what I hear the T70) have even stronger peaks than the DT770. The NAD is too far the other direction for softer treble and less detail. Lieven may have an alternate to the 770, but I’ll bet it will cost a lot more. @dalethorn:disqus Thanks for your reply. I’ve seen your YouTube review of the Final Audio Design Pandora Hope IV. Maybe that’s the one? Or T5p? The Pandora IV, no – way too colored, but the Pandora VI is excellent. Unfortunately, the VI is very heavy and you have to keep your head upright and very still. I would really like to get a T5p someday, but I don’t know exactly how it sounds – maybe darker than the T1, which is the brighter of the 2. @dalethorn:disqus Hi Dale, I meant the Pandora VI, not the IV 😉 Price in EU is nearly the same as T5p. @headfonia_lieven:disqus Lieven, do you have a suggestion? Thanks @headfonia_lieven:disqus I will put the HD630VB on my list too. @dalethorn:disqus @headfonia_lieven:disqus Today I’ve listened to the Beyer T5p. Not a good match with the DX90. Amazing soundstage, but not enough bass and the highs are typical Beyer. I guess they should be used with a more warmish source/amp. @dalethorn:disqus You’re welcome! I’ve read a lot of information from you so thank you too! Now I will listen to Sennheiser HD630VB, FAD Pandora Hope VI en the AudioQuest Nighthawk is semi open but has a very low impedance. Local dealer will have them in two weeks. Waiting on your impression of the Nighthawk. This weekend I am listening to the Pandora VI with de DX90. This is not a good match. Mid is too thin and too much in the background. The DT770 32 is a better match. Sennheiser HD630VB will be available in August. The amp that can make a DT770 sound better than a Pandora VI? I dunno about that. So are you getting the Shure 1540? 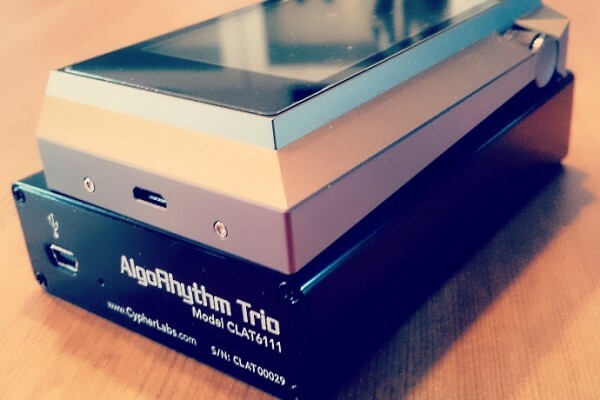 @dalethorn:disqus It is the source + headphone that makes the difference. The DX90 is a bit analytical that’s why it matches with de NAD HP50 (darker sounding). The Shure is more analytical so I really want to try it with my AudioQuest DragonFly (a bit warmish). DragonFly + HP50 is a bit dull. So I am gonna try this combination for my home setup. If we have 50 headphones and 50 amps, that’s 2500 combinations – impossible to test. But then add 50 user experiences to these combinations and now you have 125000 different combinations. That’s why very few user experiences with a given headphone will translate across to other users, unless there are some objective factors that help people to cut through the maze of product. For many people, returning one headphone or amp is difficult enough, let alone several. And I have heard that someone who returns a number of products to Amazon can be banned from ordering there ever again. That’s why I want to test them. I buy from local stores and always ask for return policy. No problem at most stores in the Netherlands. Now I am listening to the Shure 1540 at the DragonFly: better but not the one. Later this week I will receive the BeoPlay H6 and the Oppo PM-3. When I don’t like those, I will buy the DT 770 PRO 32 Ohm again with velours earpads and I will correct some frequency issues with the equalizer. I would like to read your experiences here. My DT770-32 did not have velour earpads, so anyway do report on all of those. It should add to the knowledge base here. Report back on how the battery works. The Dragonfly I presume is the new version? DragonFly 1.2 now listening on a HTPC with JRiver software. Now waiting for the batterypack, the USB hub and the powercable. I have an iPhone 6 and a lightning to USB adapter. Today I received the BeoPlay H6. Nice materials and comfort is OK, but soundwise it’s not my taste. Tonight I bought the DT770 32 again and I bought the Beyer velours pad in black so I keep my ‘black edition’. Now I have two headphones. The Oppo PM-3 / DragonFly 1.2 combo is great for jazz, singer/songwriter, acoustic instruments, classical piano, classical chamber music. The DT770 is the one for rock, symphony orchestra’s. And the DT770 works well straight from my iPhone. Now I’m am looking for a nice EQ app. OK – here’s a strong recommendation I have – very strong recommendation. Get a parametric EQ with no more than 10 bands – even 7 bands is more than enough. Make sure you can set the frequency and amount and Q for each band. Take as long as you need – weeks even – and just go after the most obvious colorations. Resist the temptation to do more than that, so keeping it simple will retain the truest sound of each headhone and system. Anyway, that’s my simple advice – have fun! @dalethorn:disqus Hi again. I’ve tested several EQ apps, but one of the problems is they all decrease the gain of my iPhone 6. So I got an idea 😉 My music collection is stored in FLAC files. I am a satisfied user of JRiver Media Center software. JRiver has the option to convert FLAC to MP3 320 through a parametic EQ. So my iPhone doesn’t need to recalculate the music which saves battery and I keep the high gain. I have 64GB storage so no problem to save multiple MP3’s with different sound. Saving a one-off set of files that have EQ embedded is a good feature of digital systems, but be careful to protect your permanent files. There’s a feature of Foobar2000 that allows permanent increase of playback gain, but it never worked for me, possibly because of the preamp overload. If JRiver has such a “preamp” feature you should look into it, as a possibly hedge against distortions creeping in. I just had to return my newly purchased HP50…. THey were the best over ear I’ve ever put on, but the headband had a defect, with unequal pressure. This required me to fiddle with it every time I put them on. I returned, and found a bunch of forums about manufacturing problems – the seal and headphone jacks in particular. There’s a brand new reddit post about it.